NEMBAfest is set smack dab in the middle of the Kingdom Trails network. 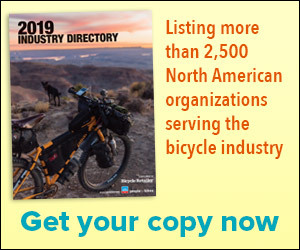 Ride from the venue on singletrack and head north, south, east or west for days on a 100-mile interconnected network of mountain biking trails for all ability levels. From fast and flowy cross-country trails to steep, technical downhill to kid-friendly pump tracks, to excavated rollers and berms, you’ll find something for everyone. Fest-goers will get to demo many of the latest high-tech mountain bikes. The Bike Place trade show was started in 2010 by a group of U.K. bicycle industry distributors. The show is run by independent distributors for the benefit of the U.K.’s independent retailers. Eurobike Media Days connects manufacturers with media representatives from around the world in advance of the Eurobike show. Attendees will have the opportunity to see and test 2020 bikes and gear on Kronplatz Mountain's challenging trails and diverse terrain. The media event that took place here in 2017 drew a total of 24 manufacturers and 217 media representatives from 18 countries. The Sea Otter Classic, the world’s premier cycling festival has been a favorite cycling festival in North America for almost 30 years, and in 2019, it grows even more, expanding with Sea Otter Canada set to take place in Blue Mountain, Ontario, just 90 minutes north of Toronto. The multi-day festival, expo and race will showcase the best cycling in Ontario, with wild races, fun for the family, and tons of bike demos and opportunities to test out the latest and greatest cycling products. BC Bike Race is a seven-day mountain bike stage race from the trail mecca of North Vancouver and the Sunshine Coast to its conclusion in Squamish — along the way taking in four beautiful BC Ferries trips. BC Bike Race is in its 13th year as a destination adventure. For some of its 600 participants, this race is the culmination of a year or more of training. As a mountain biking goal it is a lifetime achievement award. Location: The Commons, Minneapolis, Minn.
RAGBRAI, The Register's Annual Great Bicycle Ride Across Iowa, is an annual seven-day bicycle ride across the state. RAGBRAI is the oldest, largest and longest bicycle touring event in the world. RAGBRAI has been a Des Moines Register tradition since 1973.